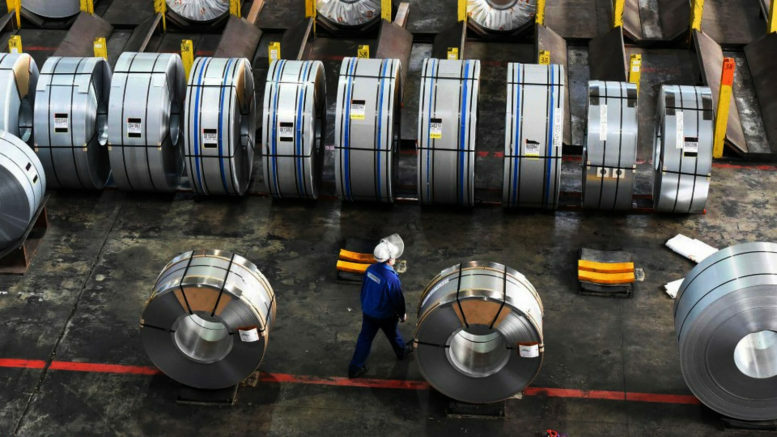 Economic tensions between the European Union and the United States have been raised a bit further, after the European Union made public a 10-page list of American products that are potential targets for retaliation, if President Trump refuses to exempt the allied bloc from his new tariffs on steel and aluminium imports , due to take effect on 23 March. Both spheres of influence are increasingly moving into protectionist mode. Being the historical principal economic powerhouses on the planet, their ongoing poor performance put them into collision and this must have an impact on the global economy. This is particularly marked for the United States, which is a declining power. Powerful American based economic interests are pushing for the opening up of Europe for capital export and as a market for commodities, as the main way to secure their interests. It is the jewel of the world and they want in. The last century saw btwo big wars fought on the continent, over who was going to be in control. But the pressure to open Europe, which does not want to be swallowed up, has caused a counter reaction, and the European Union is moving to protect itself, from penetration into its own turf. The assumption of Donald Trump into the White House has aggravated the tension further. His own brand of home spun rhetoric against Europe has caused angry responses, as seen by the arguments between the American President and the German leader Angela Merkel. This is the reason why Rupert Murdoch and other corporate interests standing to gain from this association pushed Brexit to hard. Europe is set to impose import taxes on American goods to a value of up to $3.4 billion, roughly equal to the cost the Americans are putting on European exports. The risk is that this could easily escalate. One truism that has been shown by history is that when trade tensions escalate into a trade war, there is always the possibility that this will transform into a shooting war, if the situation deteriorates far enough. The present circumstances are far from this point. But it is inevitable that squabbling over trade must transform into political squabbling. We are already seeing this, and it is likely that in the short-term, differences on other political matters will harden. Given that the two most powerful economic and political blocks are involved, the impact will be felt in every part of the world. For Australia which is deeply enmeshed in American economic interests, and to a substantial extent, European ones, the contention is going to bring some profound implications. We don’t know what these are yet. The only certainty is that it is going to add to instability. In the context of the global economy, the China factor must be counted in. The era of Western dominance is coming to an end and giving rise to a more complex world that the Chinese accurately call unipolar. This means that no power can do as it likes without having to face consequences. It is a factor that comes into the rivalry between the European Union and the United States, and even more so in the context of the emerging Russia/China alliance. Everything plays into the deepening political crisis. The rise of Donald Trump is one of its expressions. Europe is experiencing its own forms of political crisis with the rise of fascist like movements across the continent and the simultaneous rise of anti-austerity movements. This is polarising the political environment, and it will have an impact on the trade tensions of the two spheres of interest. Be the first to comment on "Trade tensions between the European Union and the United States deepen"